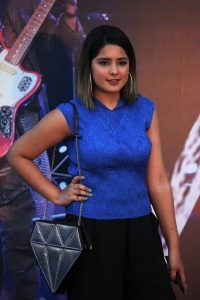 Release of Pepsi’s debut albums Battle of the Bands. 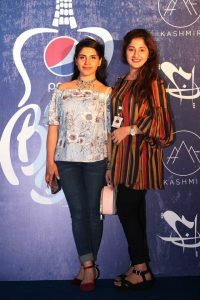 Pepsi released the first albums of all the winning and finalist bands of Battle of the Bands 2017: Kashmir, the band, and Badnaam, in Avari Towers. The release of the power plant albums happened in a Meet and Greet session held by PepsiCo. 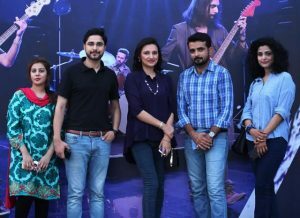 This event fulfills another promise made by Pepsi to music lovers in Pakistan at the time of the Pepsi Battle of the Bands 2017. 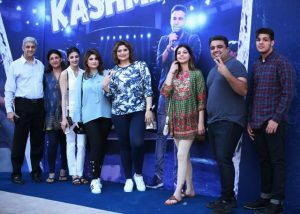 After two months and eight weekly episodes on television and social networks, Pepsi Battle of the Bands finished with the trophy in Kashmir band, while Sufi rock band Badnaam was declared runner-up, in the final conclusion of the show based on public votes. As a reward for his outstanding performance, Pepsi committed the release of music albums to the 2 best bands of the season, a promise that Pepsi fulfilled tonight. A documentary by Badnaam, the finalists of Pepsi Battle of the Bands, was shown, after which Badnaam was invited to the stage. The three members of the band responded individually to some interesting and funny questions from Anushay, to the delight of all. The following was the documentary of the winning band Kashmir. Its six members were invited to the stage. The host of the evening also organized a fun and closed session. Then came the part that everyone had been waiting for: the release of the two albums. Badnaam appeared on stage with great fanfare to perform four songs from his album, two of which were publicly sung for the first time. His poignant performance captivated the audience. Then Kashmir made his grand entrance on stage, his enthusiastic performance set the stage on fire and closed the night on a high note. It should be remembered that hundreds of audition videos came from all over the country and 36 bands had made the cut for the auditions; They became part of the budding musical history, a forum recognized for encouraging the creation of original music in Pakistan. 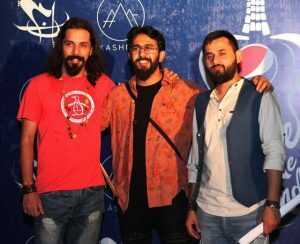 Pepsi had auditioned for Battle of the Bands earlier this year and the best bands were instructed to be part of Pakistan’s biggest music show. These two bands are the true stars of the show, and Battle of the Bands supported their trips from underground rock groups until they became household names. Special attention was also paid to the importance of preparation and style that will become a great music band. The Battle of the Pepsi Bands is not only a turning point in Pakistan’s music industry, it is a convergence of some of the brightest minds in entertainment. Pepsi incorporated a celebrity makeup artist to give a style to the presenters of the night. Public relations and event management were handled by STARLINKS PR and Events.